dr. fred amegashie, co-chair of the liberia ncdi poverty commission, presents key findings and recommendations at the official launch of the commission report. 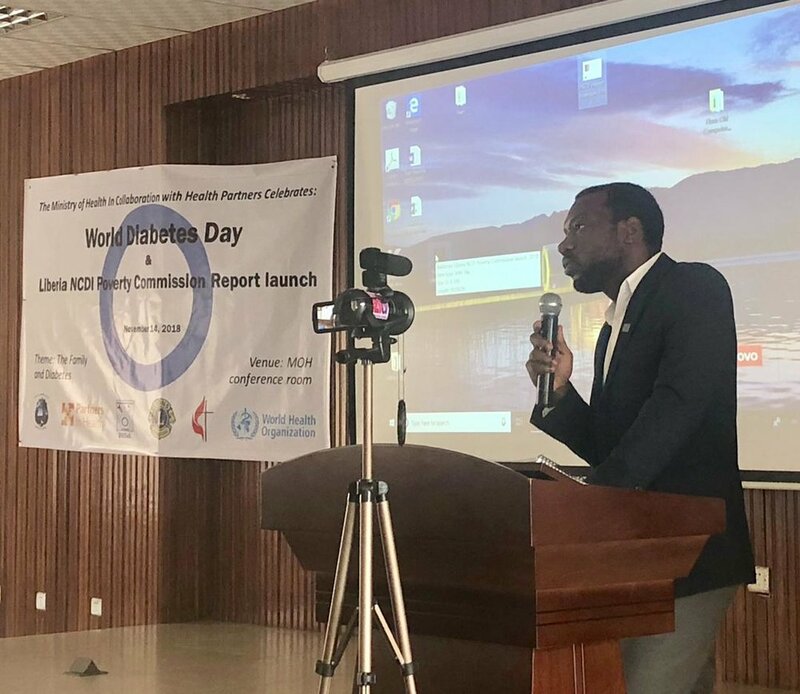 Dr. Fred Amegashie, who serves both as NCD Director for the Ministry and co-chair of the Commission, presented key findings of the report to an audience of more than 150 people. Participants included the World Health Organization’s country representative, other development partners, the Lions Club, patient advocates, civil society organizations, clinicians, students, and local media. Other speakers included: Dr. Patrick Ulysse (Executive Director of Partners In Health-Liberia); Dr. Gene Bukhman (co-chair of the global Lancet Commission on Reframing NCDs and Injuries for the Poorest Billion and Director of PIH’s NCD Synergies project), who spoke via video; Dr. Neil Gupta (Director of Policy for NCD Synergies); and Dr. Mesfin Zeblo (WHO Country Representative). The full findings of these analyses, along with an extensive set of national recommendations for service prioritization can be found in the Liberia Commission Report. The Report is available to download here.